Many believe that there is nothing you can do to lower your risk of dementia! Is dementia inevitable if you are predisposed? Is it a natural part of ageing? A recent study from the University of Cambridge hit the headline across the general media as it indicated that new cases of dementia in the UK have fallen by 20% over two decades. Professor Carol Brayne, Director of the Cambridge Institute of Public Health, University of Cambridge, says: “Our findings suggest that brain health is improving significantly in the UK across generations, particularly among men, but that deprivation is still putting people at a disadvantage. NHS Choices have analysed the numbers behind the above-mentioned study, and though they find in particular the drop in the incidence of dementia in older men striking, they do state that "while it would be great to think that it's because men in their 80s are smoking less, exercising more and generally living healthier lives, we don't know whether this is true or if it can completely account for the big drop in dementia rates." "Diagnostic criteria have changed, and people who were not diagnosed with dementia in 1991 might be seen as having dementia today. Dr Mukherjee says this could undermine the findings. But using modern criteria would have made it difficult to do a direct comparison between the two time periods." It is also worth noting that the study showed only a slight decrease (even a small increase in the older age group) in the diagnosis of dementia among woman. 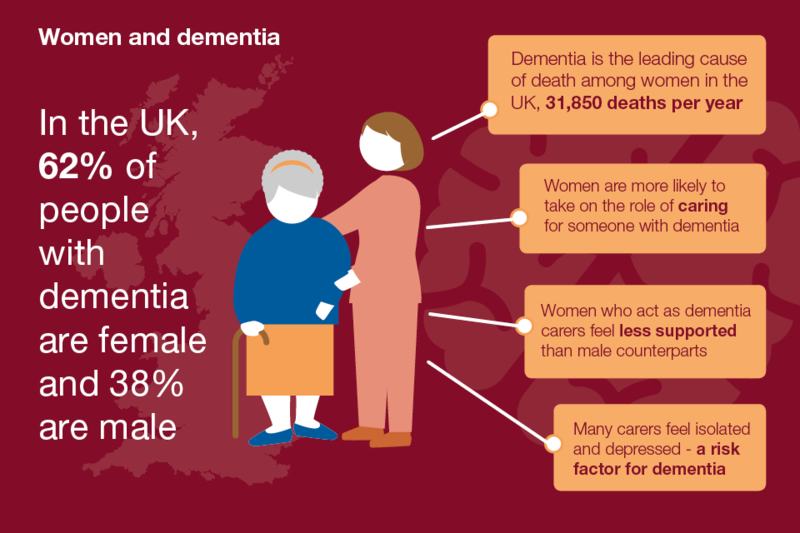 This is striking as there is a much higher number of woman with dementia than of men. Can this latest study guide you as an individual, can you reduce your risk of dementia? The study from the University of Cambridge will no doubt lead to additional research. If there has been a decline amongst men, can we determine why? Why have men seen a decline while women have seen no significant change? If indeed men have become healthier why have women not seen the same benefit? Let us look at what we do know about dementia. We know that the most common cause of dementia is Alzheimer’s disease and that Vascular dementia is the second most common type. Vascular dementia has the same risk factors as cardiovascular disease and stroke, and so the same preventive measures are therefore likely to reduce risk. And for those conditions stroke, diabetes, and high blood pressure are all linked to lifestyle. 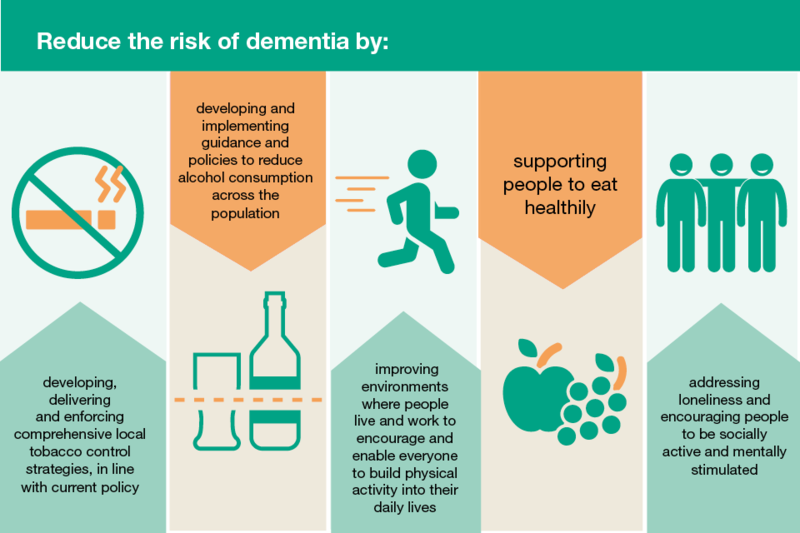 In the recent publication from Public Health England Health matters: midlife approaches to reduce dementia risk there is a focus on the lifestyle changes individuals can make which might reduce risk. A review of brain reserve and cognitive decline found a 46% lower risk of dementia in those with high levels of mental activity than those with low mental activity. So to reduce your risk of dementia, look at your lifestyle and make any necessary modifications, this might reduce your risk or delay onset while keeping you generally healthy.